My DIY Beauty Series has been a long time coming and I’m stoked to finally start sharing some of my all-natural beauty ideas with you all. Good health comes from a combination of things – healthy eating, adequate exercise, taking time for yourself and also from your environment. And while there are certain variables in our environment we can’t control (i.e. – the pollutants in NYC), there are others we can – from what types of cleaning products we use to our personal care regimen. Hence why I wanted to start this DIY Beauty Series: what we put on our skin does have an impact on our overall health and well-being. When shopping for beauty products, keep an eye out for phthalates or parabens on the label. Also watch out for scented products as those “scents” are usually synthetic. Essential oils are a great all-natural addition to any unscented product. Speaking of essential oils, I thought I’d kick off this series with Homemade Peppermint Mouthwash because who doesn’t want fresh breath?! It’s also easy to make and is ED free, phew! 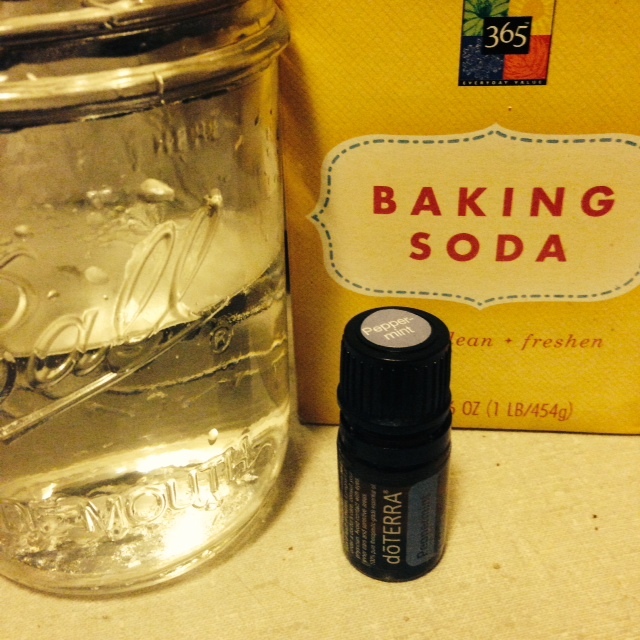 Combine ingredients and stir til baking soda is dissolved. I made mine in a mason jar and it lasted for a few days. Peppermint is a great essential oil to have on hand. It’s great for healthy respiratory function, can help with an upset stomach and is great for oral health. I also love adding it to smoothies. You can check it out and learn more here. What are some of your favorite DIY Beauty Products? I’ve been really struggling mentally with making the switch to all homemade beauty/skin etc products, Well besides maybe my makeup, but mouthwash is a good start, my husband uses the regular stuff a ton, me not soo much, but I probably could use a little freshness in that area 😉 What brand essential oils do you like?